If you travel down the Garden Route and stay with your old school friend in Swellendam, then move on to stay a couple of nights at your work colleague’s beach house in Knysna and end up on a pull out bed in Port Elizabeth for a night so that you can watch the cricket at the Nelson Mandela Stadium the next day, then you are, without a doubt, a Couchsurfer. The word “couchsurfer” was coined many years ago to describe people who do just that � “surf” from one house to another, sleeping on couches, floors, spare beds or wherever they can find a spot.�� The concept was snapped up by a San Francisco company, CouchSurfing International Inc, which, in July 2006, built a traveller’s networking website where you can find a place to stay almost anywhere in the world.�� There is no cost involved to the visitor or host, but you are expected to reciprocate and �host travellers in your own country.�� The company was started by Casey Fenton,�who got the idea when he was trying to find somewhere to stay in Iceland, and sent out an email to 1500 university students in Iceland to ask for accommodation.� He received 50 replies and from this small beginning the website was formed.�� Now it is a profitable organisation, still based in San Francisco, and hoping to be listed in the near future. The site is largely self-monitoring.�� Firstly, if you want to offer accommodation, you put up a biography stating what you can offer, and perhaps a photograph of yourself.�� Some of the biographies are quite interesting � for example, a young man says his “mission” is to “travel and drink beer”!� Another says that he wants to be a farmer in Romania, and a more ambitious person says she wants to “conquer the world”!�� Some descriptions are a little bit scary � eg “I am really weird, possibly insane...”.�� Probably doesn’t get many surfers (visitors)! CouchSurfing International has tried to add various other systems to safeguard its members.� The first is comments or references which can be left on the site by both hosts and surfers. �Other members can see the comments and judge their moves accordingly.�� The second way is the vouching system � a member of Couchsurfing must be vouched for by three other similarly vouched members who know the first member in the real world.� The site takes great care to explain that vouching should not be entered into lightly, and should only be done for people you know from face to face experience. Then there is an optional credit card verification which is the main source of revenue for CouchSurfing.� Hosts and surfers can pay a small fee to Couchsurfing who will then verify their name and location � ensuring that they actually exist � and publish this info on the site.�� The fee you pay is graded according to your country’s financial status. There have been a few bad incidents which have been directly as a result of people meeting through Couchsurfing.org.�� These have been reported to the police and the media and action has been taken.�� Couchsurfing members are urged to report any wrongdoings to the correct authorities, and on the site itself.�� It is advisable to take reasonable care and if possible do all the checks you can on the person you are going to stay with or host before it happens. Another thing to watch out for is that in its “terms and conditions”, CouchSurfing claims the right to use any and all of the information you supply to them on the site. ��If you don’t want your name and information made available to all and sundry, then CouchSurfing is not the site for you. The intention of the CouchSurfing company is to provide a platform which will not only facilitate travel, but also promote cross cultural exchanges through social networking.�� It appears, from the many members, that this objective has been achieved. I've noticed the tendency of some of my male friends to prefer females couchsurfing at their places! Is couchsurfing also a dating service? 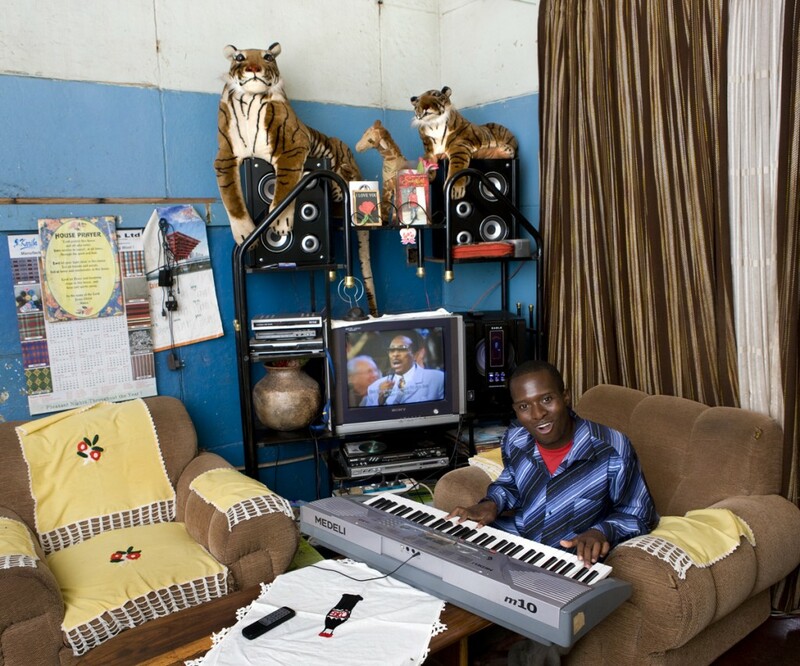 A photographer went CouchSurfing�across the world, and took clickies of those who hosted him - here's one from Botswana (Maun).